Without a central government, for nearly two decades the people of Somalia have had to cope with natural disasters, civil war and humanitarian crisis as best as they can, often resorting to informal and illegal economic activities for survival. Although the origins of Somali maritime piracy remain obscured, it is likely that this was a response of Somali fishermen to the illegal, unreported and unregulated (IUU) fishing within their territorial waters by foreign companies who sought to capitalize on the lack of a national coast guard in the 1990s. In contrast to these origins, it is clear today that Somali piracy has rapidly transformed itself into a multimillion-dollar business, employing up to thousands of people and generating revenue far greater than the operating budgets of the local Somali administrations responsible for combating piracy. 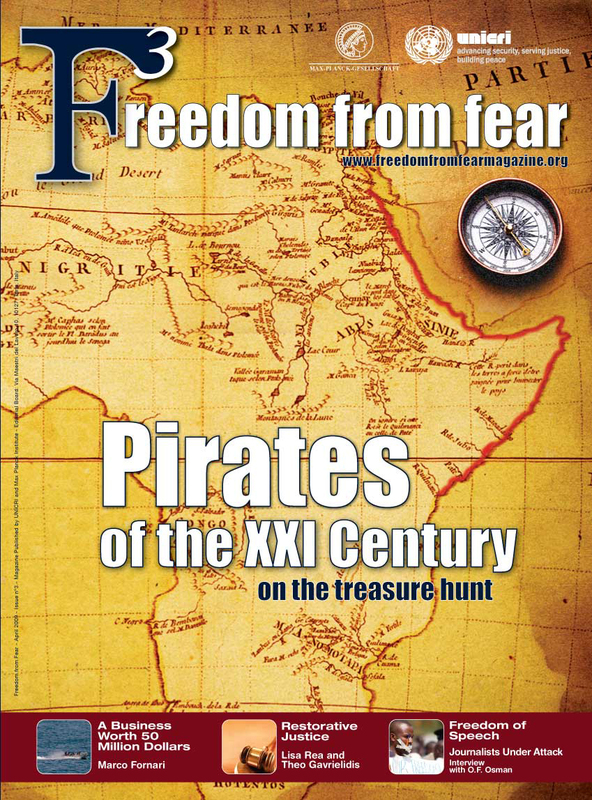 The rise in pirate attacks in 2008 was significant enough to force several major shipping companies to re-route their fleet away from the Gulf of Aden, circumnavigating instead around the African continent. Against the backdrop of a growing international economic crisis, the threat to international commerce has been enough to mobilize nearly 20 countries to deploy warships to the region in an unprecedented naval effort to protect their merchant fleets from pirate attacks. This expansion in anti-piracy efforts has been matched by a corresponding rise in demand for information technologies to better manage field-sourced intelligence, as well as to provide additional information and analysis on a range of security issues connected to piracy, including: monitoring anchorage sites of hijacked vessels, identifying suspicious vessel patterns, defining attack hot spots and changes in pirate strategy. Because of the combination of vast areas and limited access, international aid organizations often rely on satellite imagery and Geographic Information Systems (GIS) to better understand the situation on the ground in Somalia. This technology has been most commonly applied to mapping natural disasters (especially floods), measuring the movements of Internally Displaced People (IDPs) and populations to assess needs and plan aid distribution, to monitor political events and security threats. Following several high-profile pirate attacks on UN-chartered vessels transporting food aid in 2005 and 2006, such technology has been increasingly applied offshore to address the growing threat of piracy, providing valuable insights on the scale, evolution and dynamics of the problem, and proving highly useful as part of an integrated strategy to combat maritime piracy. The spatial analysis of piracy begins with attack incident reports transmitted by vessel operators to maritime authorities (such as the ICC-IMB Piracy Reporting Center), often while an attack is still in progress. This critical data on the time and approximate location of attacks, once integrated into a geographic database system, allows for spatial analysis to identify areas of highest pirate activity and changes in attack locations over time, which can then be compared with satellite data on vessel traffic collected remotely from space. – secondly, the pirates fundamentally shifted their operational focus away from the Indian Ocean to the Gulf of Aden, catching both merchant fleets and naval forces by surprise. In 2008, 86% of the attacks occurred in the Gulf, in sharp contrast to the 2005-07 average of 17% . Although the causes of this geographic shift in pirate activity are uncertain, recently collected radar satellite data indicate a sharp drop in merchant vessel traffic along the coast of Somalia in the Indian Ocean may have been a contributing factor, thus depriving pirates of a sufficient number of targets for hijacking . Responding to this drop in vessel traffic, pirate militias refocused their attention to the merchant traffic within the Gulf, which cannot be significantly redirected, except to avoid the Suez Canal entirely. Vessels hijacked in the Gulf of Aden are taken by Somali pirates along an established route south to the traditional anchorage sites of Eyl, Bargaal, Garaad, & Hobyo along the Indian Ocean. Although this pirate route is well known, after the elevated threat and the dramatic geographic shift in pirate activity became apparent in the summer of 2008, there was a corresponding need for new information on areas most at risk of attacks within the Gulf. The map in Figure 1 illustrates a 3D approach to identifying specific clusters of pirate attacks in the Gulf, where areas of highest reported activity are indicated by the elevated red peaks. Spatial analysis of the reported attack locations within the Gulf indicated that, during the first seven months of 2008, pirate attacks were generally clustered southeast of the Yemeni port of Al Mukalla. Further analysis revealed that pirate strategy had quickly changed in response to the implementation of a Maritime Security Patrol Area (MSPA) by a coalition of naval forces in August 2008 . Originally intended to protect merchant vessels from pirate attacks by concentrating traffic through a patrolled corridor, preliminary analyses indicated that the MPSA had not significantly lowered the number of hijackings, but simply shifted their occurrence to the north and west. Figure 2, illustrates this change in the spatial distribution of reported pirate attacks both before and after the MSPA. In this regard, GIS-based analysis provided valuable insights on the relative effectiveness of early anti-piracy measures in the Gulf and the dynamic changes in pirate strategy in response. A common piracy application of very high-resolution optical satellite imagery over Somalia has been to graphically illustrate hijacked vessels under pirate control. Imagery recorded in November 2008, for example, near the coastal town of Eyl (a known pirate land base) revealed the identities of three hijacked vessels, whose painted names on the starboard side were clearly legible in the satellite imagery (see Figure 3 of the hijacked Turkish tanker MV Yasa Neslinhan). Although visually impressive and media-friendly, this type of satellite data generally has a limited role in piracy monitoring and analysis for two reasons. 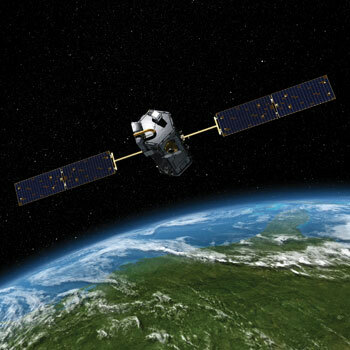 First, it is totally dependent on cloud-free weather conditions and thus unreliable as a data source during the wet season; second, and most importantly, because of the limited extent covered and relatively high cost, very high resolution optical satellite imagery is best suited over fixed target areas with known significance. In other words, it is best used when the subject and area of interest are reasonably known in advance. It is therefore not suited for exploratory and/or operational monitoring of expansive ocean/coastal areas where pre-existing information is limited or non-existent. A better approach for piracy monitoring and spatial analysis is to focus on radar-based satellite sensors and on well-documented applications for maritime security and vessel monitoring. Radar satellite data has been used for over 15 years, most commonly as a navigational aid to chart safe vessel passages through ice-filled Polar waters, to monitor illegal fishing activity in territorial waters, as well as to detect and measure oil spills. Because of the larger area of coverage, lower coasts and weather independence, radar satellite sensors are highly suited for several important applications in piracy monitoring and analysis. As part of an ongoing need to monitor merchant vessel compliance with established maritime transit guidelines through the Gulf of Aden (e.g. MSPA), radar data can provide accurate and semi-automatic detection of thousands of vessels as they pass through the area. By comparing their locations with the established transit coordinates, it is possible to measure the percentage of vessel compliance over time, and to identify specific areas of lower compliance, which may indicate a higher risk of attack. Vessels detected far outside the MSPA, in suspicious cluster formations, or falling within recommended vessel exclusion zones along the Somali coast can be readily flagged for further investigation. In one such instance (see Figure 4), a highly suspicious cluster of 8 vessels was detected 50km south of the MSPA in radar data recorded on 5 December 2008. Although unconfirmed, this cluster pattern was possibly connected to an attack reported the previous day involving upwards of 20 separate pirate boats which attacked in a coordinated swarm-like pattern. From a monitoring perspective, regular acquisition of radar data along the Somali coast is especially useful for monitoring hijacked vessel movement near known pirate anchorage sites. Specifically, radar data allows for updated count estimates of the number of suspected hijacked vessels in a given area, identification of potentially new pirate anchorage sites, monitoring vessel movement within a given harbor, identification of unknown vessel presence (suspected pirate activity), and finally it allows cross-validation and comparison with traditional ground-sourced security reports, sometimes revealing unknown vessel activity in areas of primary concern. While the relative importance and value of satellite-derived data and spatial analysis is apparent, it works best in combination with (and not as a substitute for) field-sourced information and monitoring. It represents an important part of a comprehensive approach to combating piracy. One specific recommendation to government authorities is to establish ground-receiving stations in the region, enabling local countries to receive and process satellite data in near real-time. This would significantly increase local monitoring and response capacity, to combat not only maritime piracy but also for broader enforcement against illegal fishing and alleged dumping of toxic waste within Somali EEZ waters – what Somalis claim as the “other” or the original piracy in the region. Josh Lyons, is GIS Analyst at UNITAR Operational Satellite Applications Programme (UNOSAT).